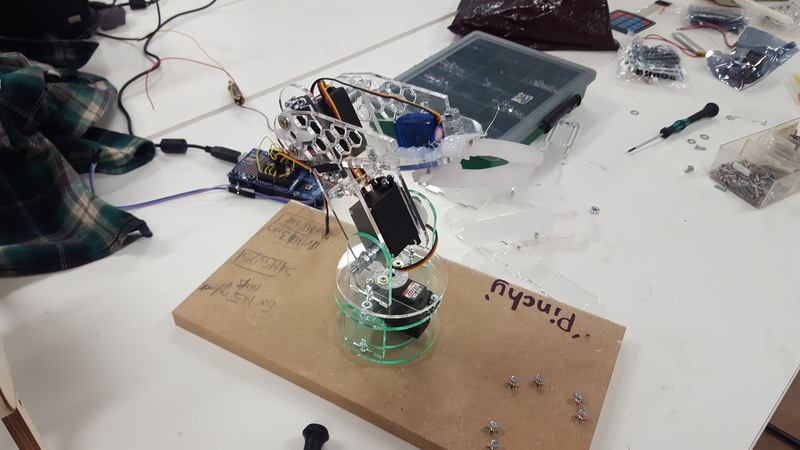 Working as a team, Paul Waterfield, Kit Kaye and I developed an Arduino controlled Robotic Arm on behalf of the FabLab Cardiff, for use in a potential workshop. 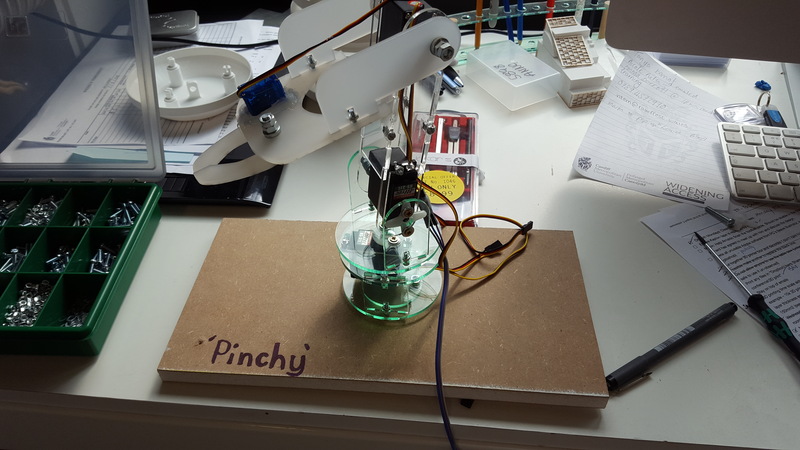 The Robot Arm was designed to be laser cut from Acrylic and was specifically setup to allow the maker to add their own design elements during the workshop. 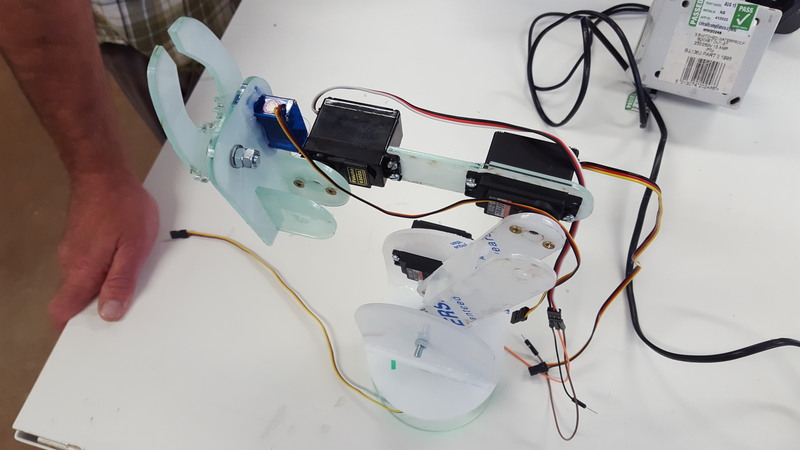 The design utilises 3 regular digital Servo Motors for movement and an additional Micro Servo Motor for gripping objects. The initial concept designs and subsequent developments were completed by Paul Waterfield and Myself and then the final design development was worked on by Kit Kaye.